Articolo : RBT-R14001 Disponibilità : PochiPz. Manufactured from a combination of high quality materials, Robitronics new 1/8 bag becomes the perfect storage for an 1/8th scale buggy, truggy or even an onroader together with accessories like tyres, tools, setup-gauges and a starter box. 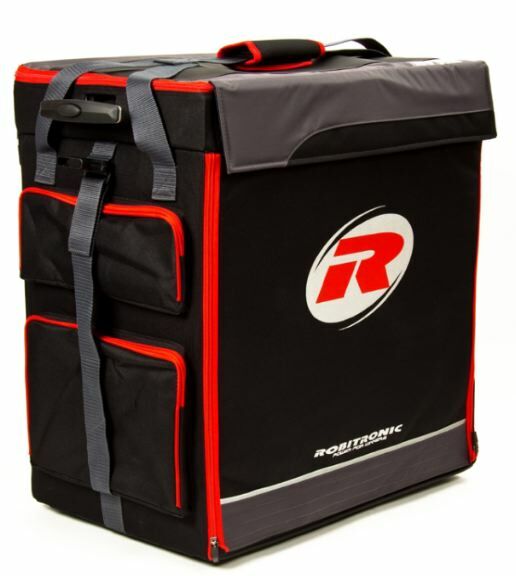 Practical lugs on the opposite sides allow for easy handling of Robitronics new transport bag - especially when the bag is stored in the trunk of your car. The transport bags five trays are made form though plastic and its coating is especially easy to clean. 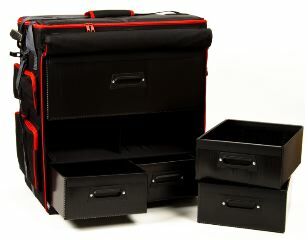 The outside features handy pockets for manuals, setup-tools, accessories and many other things youll want to have quick access to. An impressive amount of 20(!) elastic straps securely hold your tools and put your screwdrivers and socket wrenches straight. Behind this tool-tray, theres a generous box (dimensions 500x55x90mm) for additional items.With this transport box, wrenching is (even more) fun - because with our race and pit-stop proven design, youll always have the right tools at your hands! 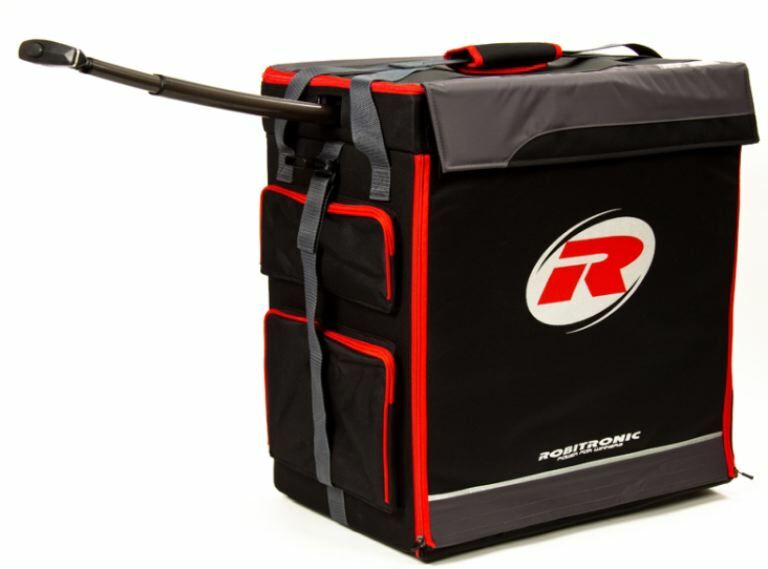 Get your gear together in a single, convenient and stylish package - with Robitronics new transport bag! 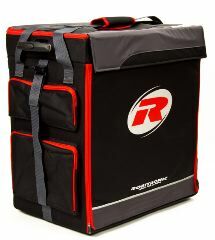 Robitronics transport bag is sold as a kit" and effortlessly completed.